In the last week, we haven’t seen him take the wrong steps, rather we’ve seen him take none at all… Has Malcolm Turnbull failed in leadership of our country? Extreme vetting. It’s a term you no doubt have heard at least once in what seems the eternity since the US election season began. Just what on earth was the then-prospective Commander in Chief, Donald Trump, going to “vet” that would garner such an adjective as “extreme”? The answer was, of course, right under our noses all along – under our noses and beamed in front of our eyes as The Donald gazed down on his adoring, if not fanatical, supporters. If there’s one thing that the multi-bankrupt mogul was good at on the campaign train, it was drumming up fear and hatred towards Muslims. We saw it in his heartless tormenting of a fallen Muslim soldier’s parents, the mother of whom he declared was not “allowed” to speak as her husband delivered his anti-Trump speech. We saw that same rhetoric in the wake of the San Bernardino shooting, with Trump asking for all Muslim immigration to be halted until the country’s representatives could “figure out what the hell is going on”. So it should come as no surprise that once more the orange leader of the free world has fanned the flames of hatred, bringing in an unconstitutional Executive Order to halt immigration entirely from seven countries – each predominantly made up of people of the Muslim faith. Like a middle finger to all those with compassion, Turnbull and co swung from neutrality to outright spinelessness at the anti-human legislation… Staying silent as hate and ignorance shapes federal policy is not the sign of a leader. It is the sign of a coward. In spite of the halt on immigration being aimed directly at Muslim-majority nations, and the signalling out of the Islamic faith, Trump insists the ban is not based in religion. In fact, former New York mayor and prominent Trump backer Rudy Giuliani told Fox News, bastion of fair and balanced reporting, that the President called him asking specifically for a “Muslim ban”. Not to worry, for in times of darkness and bigotry, leadership can make things that little bit brighter. Good leaders unite, they do not divide. Allies may be important, but a good international relationship does not mean a rubber stamp to that ally’s every move. Policy built on xenophobia, steeped in fear, deserves to be called out and condemned for the evil that it is. Take Germany’s Angela Merkel, who called Trump on Saturday to explain the US’ obligations under the Geneva convention, before stating of a regret for the order. Canadian Prime Minister Justin Trudeau pledged that Canada would welcome any of those fleeing persecution, “regardless” of faith. Even Britain’s Teresa May, fresh from a playdate with the new Chief, put out a statement saying her government did not agree with the move. But back home, leadership was missing in action. While our like-minded friends around the world spoke out against hate, Australia’s government looked at best cowardly, at worst plain nasty. On the very same day that we saw scenes of families breaking up, and the sheer grief crashing through airport terminals across America was beamed into our homes, the people we elected to lead us did anything but. Like a middle finger to all those with compassion and a shred of humility for their fellow man, Turnbull and co swung from neutrality to outright spinelessness at the anti-human legislation. Sure, any call for condemnation from a government that garnered international fame for its indefinite detention of men, women and children alike in off-shore hell holes may seem more than a little hypocritical…but surely a bit of hypocrisy is tolerable when the alternative is to be seen as supportive of actions designed to drum up intolerance. There once was a time Australia was known as a leader in climate change policy. Now, we lead the stakes in the torture and detainment of refugees. For the treasurer of our nation to be boasting of an anti-immigration system so cruel that even Trump’s Muslim ban can’t compare, we should be ashamed. Better yet, even Foreign Affairs Minister Julie Bishop has given the measures her personal tick of approval; the Turnbull government will support Trump’s “strong immigration and border protection policies,” she said without a shred of irony nor sign of any conscience. Still, it’s expected that at least some members of government are to have a personal opinion on the matter. What really matters is what our leader has to say on the issue – after all, Turnbull’s word is law. That is, at least, if Turnbull has anything to say at all. It’s one thing to pick the wrong side of the discrimination fence; it’s entirely worse to pick no side at all. I escaped Trump’s Muslim ban…but now what? Turnbull dodged all blame, all responsibility, in the face of repeated questions from journalists, who pressed the Prime Minister on his thoughts on the Muslim-centric nature of Trump’s Executive Order. 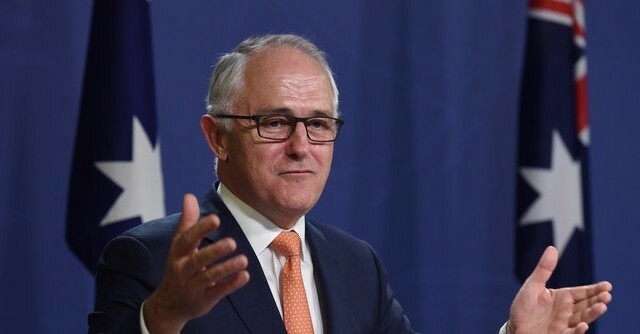 “It’s not my job as Prime Minister of Australia to run a commentary on the domestic policies of other countries,” he said in a conference that really conferred nothing at all. This is despite the ban affecting Australians with dual-citizenship, or the journalists reminding Turnbull that other leaders around the globe had spoken out against the ruling. When it comes to oppression, to be complacent is to support the oppressor. Sure, there may be an argument that a smart political leader would avoid any sort of cross-oceanic feud, for fear of compromising any dealings, but those arguments are as hollow as the chests of our government’s leaders. Germany is not concerned with any political ramifications in response to their condemnation. Nor is Canada, nor France, nor Britain. Indeed, there’s one thing leadership in those countries has in common, regardless of ideological alignment: spine. The very same spine that has shown itself to be all but absent in our Prime Minister. To sit back while our closest ally commits acts of violence and discrimination on a global scale, to have our front bench cuddling up to the views of the extreme and the xenophobic…it is not an act of political wit. Staying silent as hate and ignorance shapes federal policy is not the sign of a leader. While Turnbull stays quiet, the world audibly weeps. Agility, innovation? This late in the game, neither could make up for such a lack of intestinal fortitude. Yesterday, the world saw what real leadership looks like. Leadership that Australia could only dream of. Journalist by day, cunning linguist by night. A passion for politics, hypnotically involved in human rights. An Australian born with a Japanese tongue, hoping to hold the big wigs in government to account.